When monkeys, tigers, bears, lions, dolphins, eagles and other animals were already known, the gorillas were just beginning to stand out among primates. For a long time, their existence was exclusively known by the stories that some explorers narrated; it was until the mid-nineteenth century that Western Gorilla (Gorilla gorilla) appeared in scientific documents. 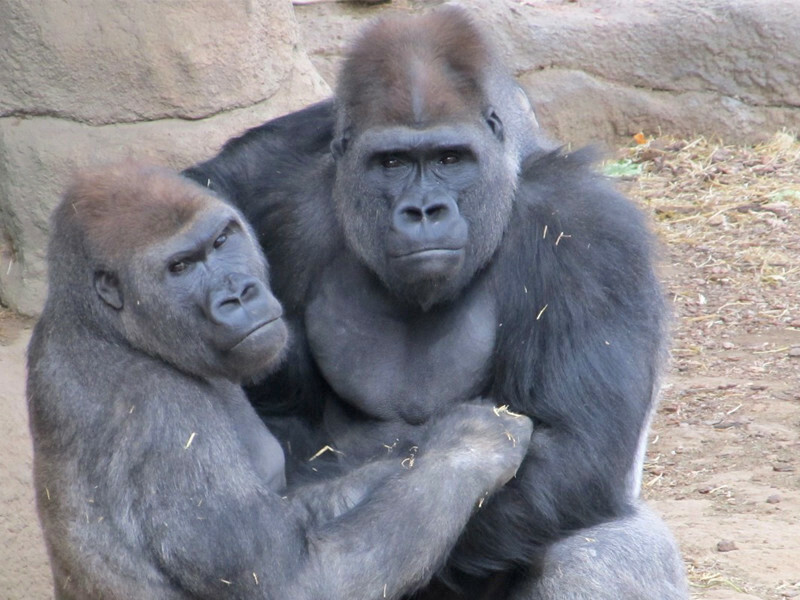 It has been many years since the gorillas were defined and accepted as a new species. The knowledge we have about them is the outcome of exhaustive research. Research that involves seeking information to find indisputable facts, following methods regulated by meticulous procedures to avoid errors. However, nature is always changing. Therefore, research has to be continuous. For example, thorough research discovered that there were more than one species. Changing that long-time belief. Western gorilla (Gorilla gorilla) with two subspecies. – Eastern lowland gorilla (Gorilla beringei graueri). For a long time, it was considered the existence of a single species and three subspecies: Gorilla gorilla gorilla, Gorilla gorilla graueri, and Gorilla gorilla beringei. Merely in 2001 the taxonomy of these primates was reordered, and thanks to mitochondrial DNA the genus was split into the species and subspecies listed above. Although gorilla classification made in 1847 was as Troglodytes gorilla, one of the initially written research about gorillas based on sound scientific fieldwork dates back to 1959. It is the work of the expert George Schaller Beals, who traveled to Central Africa to study the mountain gorillas and subsequently published two important books: the mountain gorilla: ecology and behavior in 1963 and the year of the gorilla a year later. As a pioneer in the field, he helped delegitimize the belief that gorillas are aggressive and primitive animals, and set the ground for subsequent work. One of the most renowned researchers is Dian Fossey, a primatologist that focused in the study of gorillas since 1963. One of the most famous scientists is Dian Fossey, the primatologist whose work and fate became popular when the film “Gorillas in the Mist” exposed them to the world in 1988. Fossey began her research focused on mountain gorillas in 1963 when she moved to Africa. Throughout the years her fieldwork helped to identify several troops and individuals who got accustomed to her presence. In 1967 she founded the Karisoke Research Center, an institution devoted to the study and conservation of mountain gorillas. When Dian Fossey established this center, this subspecies was on the brink of extinction and poaching was a common practice. This primatologist, besides contributing to science with her discoveries about the behavior and ecology of gorillas, tirelessly supported efforts to conserve them. Sadly, one day she was found dead in his cabin, allegedly killed by people with an illegal business affected because the diffusion of her work put the eyes of the world over mountain gorillas. The study of these animals is an activity that involves a lot of effort, time and patience. Access to their natural habitat is difficult because they usually inhabit areas with impenetrable vegetation and researchers have to overcome all these obstacles to gather more information. In recent years it has been thought that a third subspecies of eastern gorilla could exist. Specifically, the population found in the area of Bwindi National Park in southwestern Uganda. Some scientists believe that individuals of such group have morphological, behavioral and ecological characteristics slightly different from the other gorillas, but the information is not conclusive yet to determine if this is a new subspecies. While gorilla research sometimes could appear concluded, it is not. New research provides the resources to know them better, but it is likely that the information will continue changing over time.